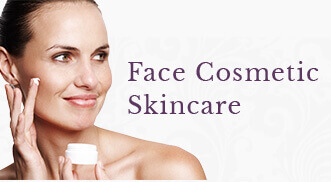 As we age, several factors contribute to our skin and face looking older. Years of environmental damage and strong facial expressions can cause deep lines in the skin. Natural bone and fat loss can lead to a gaunt appearance and excessive sagging of tissue due to lack of support. Our skin loses its plump volume and becomes less resilient. The general shape of our face goes from being an uplifted heart-shape to being more like an inverted triangle with heaviness and drooping along the jawline. In turn, we can appear much older than we feel. 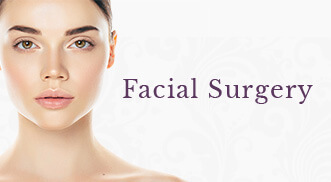 A surgical facelift at our Eagan and Woodbury clinics can effectively address all of these concerns. Formally known as a rhytidectomy, our facelift services are designed to improve the overall shape and youthfulness of your face while respecting your natural features and character. In general, a facelift will take 10 years off of your perceived age. Drs. Christopher Tolan and Garrett Griffin are both double-board certified ENT / Facial Plastic Surgeons, so you can be assured that you are in the best hands possible for this procedure. One of the benefits of a surgical facelift is that there are several different kinds, which allows your physician to customize their approach to meet your individual needs. However, facelifts can generally be broken down into three types: SMAS lifts, deep plane lifts, and short-scar lifts. You and your physician will discuss at length which approach is best for you, your skin, and your expectations. Regardless of which type of facelift is indicated for you, the primary goal of a rhytidectomy is to improve jowling and loose skin in the lower face and neck. In turn, a full facelift always includes a necklift. This ensures that there is an overall rejuvenation to your appearance and not a noticeable break at the neckline. That said, there are additional procedures that can be performed that are more targeted to the neck in the event that your main concern lies below the jawline. When is the right time for your facelift? Studies show that younger patients note higher satisfactions rates with their procedure. This is partly because our skin-quality is better in our 50’s compared to our 70’s. Skin is more resilient and heals more quickly as well. We encourage our patients to consider our facelift services at a younger age so that they may enjoy the benefits for many years to come! Not all patients require a full facelift. In these cases, a “midface” lift may be more appropriate. This procedure is designed to recreate the youthful “apple” of the cheek and midface. Just as in the case of full facelifts, there are many types of midface lifts including open and endoscopic techniques, as well as injectable dermal filler to reduce the appearance of any noticeable scarring. Again, you and your physician will discuss which option is best for you. This may include discussing options of injectables such as Juvederm® and/or Voluma®, or fat grafting techniques to achieve your desired outcome. Call us today to learn more about our affordably-priced procedures! Are you interested in learning more about Rhytidectomies: Eagan & Woodbury Facelifts?